By Roger Hilton, March 20 in New to Boating? Very poor now, worse than they ever were,as they went into liquidation some time back. You could do better with another fabricator. Boat Name:Now Zulu eff August 2018 - previously Persia, Marcellus and a few others! Narrow I hope - you can do better...…………..
Liverpool Boats are no longer building. However, Collingwood, who were formed after Liverpool closed down, are worth a look. They are at the less expensive end of the market, but that doesn't mean that there's anything actually wrong with them. Just do a search using the forums fabulous search facility Roger. Provided that they weld ALL the places that must be welded. You can do better. For more money, yes. Our last boat had a Liverpool shell and didn't leak, so I suppose that the welder had done his job properly. There are much more serious problems than a leak, like whole seams only welded on one side, rudder tubes not welded at the top to the deck, need I go on? All defects found and documented with Collingwood. I did not say all shells or every shell, I have seen good and bad, that's the problem you don't know which you have till its too late. If I was having a hull built I would have a good look at existing boats and see which ones actually looked right, there are some that are quite ugly brutes, these are the ones built by people who aren't really boatbuilders. There are also very good boats built by proper boatbuilders. Somewhere between the two are the more affordable versions. I am not really conversant with all the builders these days but a boat that looks good you will always like and won't begrudge spending money on. A boat that is wrong you will grow to dislike. I would politely suggest that if the OP has done so little research that they have not picked up on the fact that the Liverpool Boat Company eased building boats a tidy few years ago now, they have probably done very little research at all. However, although I can't quote numbers, I get the impression that not a lot of brand new narrow boat shells are being produced at the lower price brackets though. Certainly talking to boatyards in the areas we operate most probably over 90% of all new boats being craned in are wide beams, (and it seems increasingly very wide beams). Get your sailaway from Colecraft. I did. Great boats and great people. Don't Tyler Wilson (probably one of the most prolific current builders) offer different grades of shell to suit various pockets? I may be mistaken, but I think that their "Mike Christian" brand is more basic than their main line. Long-established, mid-range ColeCraft should be worth a look (pace System 4-50, our posts crossed). Who builds the shells for Cheshire Narrowboats at Lymm? judging by their press adverts, they specialise in sailaways, though I don't know at what sort of price point. I think any variants by Tyler Wilson or Colecraft are likely to cost a fair bit more than what a Liverpool Boat Company one would have done, if they were still producing them. I'd rate the former as at least mid-market, whereas LBC were definitely towards the lower end price wise. 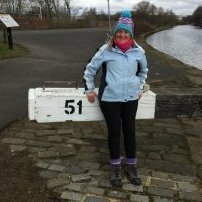 There is a wide beam sailaway on e bay at the moment, its in L'pool so could be a L'pool boat, 'Brand new, stock boat' sorry, can't find the link. not my cup of tea but might suit someone. A vote from me for Colecraft too. Just a thought but there is a lot to be said for refitting or buying an existing boat, these are uncertain times and builders do go bust leaving debts. I have found a price of £30,000 for a 57' Mike Christian sailaway - coincidentally, from Cheshire Narrowboats at Lymm. Of course there are various stages of sailaway - I don't think this one is lined for example. My point is that the hull is the foundation of a boat. If that is deficient in design and execution it can and WILL cause problems later and there's a strong possibility that repairing poor welds and bad layout, execution of hidden structural members may be impractical to fix. A boat's hull in not merely a tin box into which folks add their extras. I bought my shoes and my hull from craftsmen - not from a production line. There is a lot to think about when buying a boat. Many steel cruisers are built with 4mm steel yet last well. Many narrowboats are built with twice that thickness and don't. The quality of maintainence starting from before it even goes in the water is crucial. A decent paint system - not just a single thin coat of something black - is important. It might have been ok years ago but nowadays we know better. The O.P.might be interested to know how much it cost, unless you would prefer to keep that information to yourself. Many thanks for all your helpful comments. 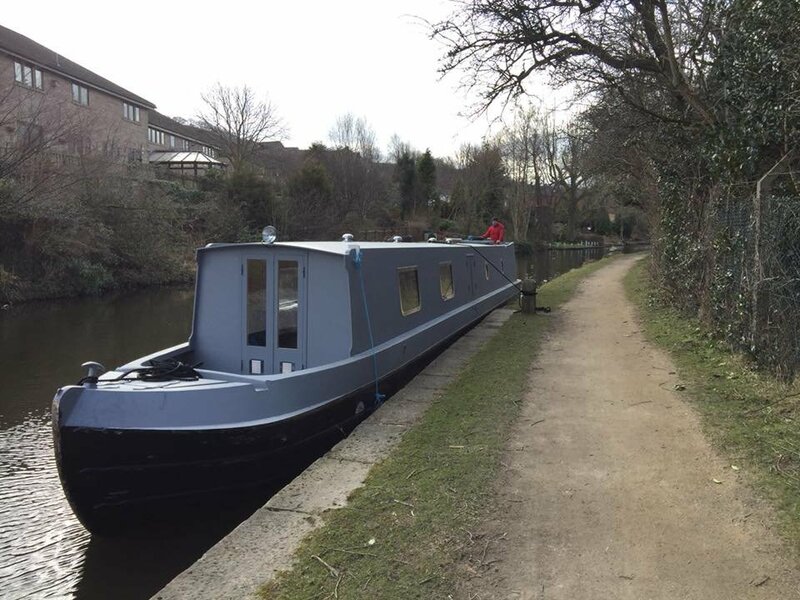 I’m very new to the Narrowboat scene and as such i’m in the ‘research’ phase and exploring all avenues of buying my first boat, be it new or second hand. LBC did seem to be the lower end of the market price wise and their website (which popped up in a general internet search) appeared to be live. I just thought I'd run the idea of commissioning a less expensive builder past people who are in the know to get some opinions. Do you drive a Morgan, or something sensible that came off of a modern automated, refined and lean production line? Don't underestimate the sheer hard work and time it will cost you to fit out. Second hand may be the way to go unless you have a burning ambition to do or have loads of time and the skills.